Unsure of how bone running, advertising and/or burner lighting work in World 31, Taverley or Yanille? Worry no more, as we are here to help guide you through the process. Step 4: Trade your payer the un-noted bones or ashes for noted bones or ashes. You may need to wait for the payer to use up all the bones or ashes. 4. Run due east until you get to the Yanille Lodestone to activate it. For more information on how the Lodestone Network works, go to this section: Bone Running Efficiently in Yanille. Taverley city in World 31 is becoming the main location where players train Prayer due to the close proximity of the lodestone and bank. It is located South of Burthorpe. There is no Construction level required to move your house to Taverley. That way you can use Teleport to House tablets to quickly teleport back to Taverley. If you have completed the Love Story quest, you can modify the Teleport to House tablet to Taverley. Otherwise, you can use the Taverley Lodestone instead. Yanille city in World 31 is an alternative location where players train Prayer . It is located east of Castle Wars or South of Ardougne. Level 50 Construction is recommended as you will be able to move your house to Yanille. That way you can use Teleport to House tablets to quickly teleport back to Yanille. If you have completed the Love Story quest, you can modify the Teleport to House tablet to Yanille. Otherwise, you can use the Yanille Lodestone instead. Bone running is essentially two players trading 27+ noted bones or ashes plus money for 27+ un-noted bones or ashes. This will allow the player training Prayer to never leave the house. It is usually 25,000-50,000 coins per trip, so it can get costly in the long run. If you are offering to bone run, you may advertise your service once every 3 minutes, or unless someone asks. Before you decide to bone run, double check that you can afford 27+ bones or ashes that your payer is using to transfer via trading. For those paying a bone runner, avoid situations where you give around 100+ bones or ashes for free to the runner. They will most likely steal your bones or ashes and log out. If using Beast of Burden familiars , it is best to use bank presets so you do not waste time at the bank. In your Hero interface or bank interface, you are able to edit and save presets that you would like to load when you press either '1' or '2' on your keyboard. The presets can load items from your Worn Equipment , Inventory , and/or Beast of Burden . If you are also using a Beast of Burden familiar , and you would like to place bones in your inventory and familiar at the same time, ensure that you press the radio button for the Beast of Burden preset at the bottom. Advertising is essentially saying a particular host is open for a certain amount of hours. You may offer to advertise for a host every 3 minutes in "Altar" Friends Chat unless you found a host to advertise for. 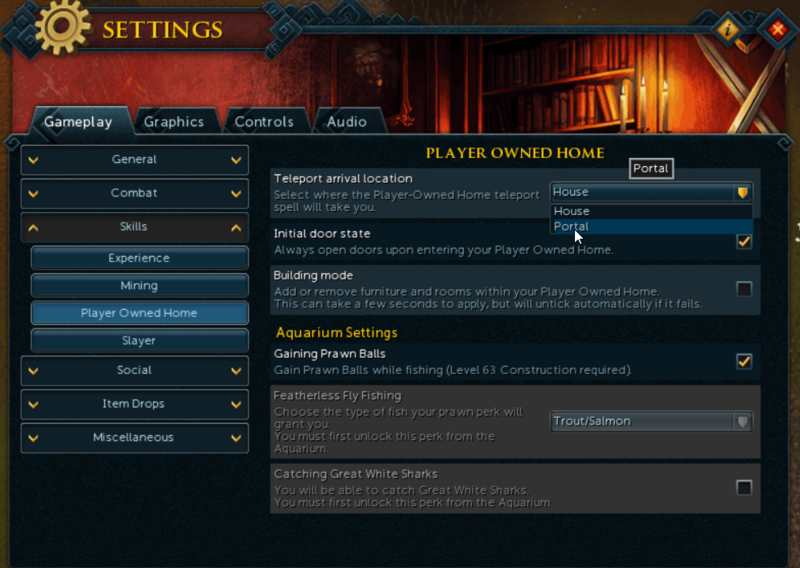 Avoid spamming the Taverley or Yanille POH portal excessively, or you may risk a mute or ban to your account. Not to mention, constant spam can annoy other players. We prefer it if you hand typed the advertisement, but it is entirely your choice. You can use an autotyper if you want, but bear in mind that we are not held responsible for any mutes or bans that are applied to your account. It is generally best to accept the payment for advertising after you have advertised the correct number of hours for the host. But if you insist on an early payment, perhaps set up a deal where half is paid up front and half later. While advertising, feel free to mention "Altar" Friends Chat to those outside the purple House Portal. For those unsure what the burners do, each burner gives 50% bonus XP in Prayer for players that are using bones or ashes on the Gilded altar . They must be lit by a Tinderbox and Clean marrentills (purchasable from the Grand Exchange in Varrock or Prifddinas) so they give bonus XP. They die out every 2 minutes 10 seconds to 3 minutes. To start off, bring an inventory of Clean Marrentill. Please bear in mind that you need at least level 30 Firemaking to light the burners . Pay attention to the burner as best as you can. It helps to have a countdown timer for every 1 minute 40 seconds to relight the burner so that it never becomes unlit. If your host allows it, feel free to mention "Altar" friends chat every now and then to the guests of the host. Payment for lighting burners for a host varies. Avoid asking or begging for donations , as you are in someone else's home and many players find it annoying or cringey. It helps to be nice to everyone that are currently training prayer in the house so that no drama can arise. Not to mention, you may even have a good time and make more friends.